Mining Bitcoin, to put into simple terms, is a race against time. It’s a dog eat dog world when it comes to it. Mining Bitcoin is the most popular method of churning out coins and processing transactions, and it is getting increasingly difficult to do. This is due to the fact that popular demand for getting more coins faster and efficiently is forcing companies to rapidly come up with better products. In addition, the main principle of supply and demand is that if there is a low supply of a product and there is a high demand for it, the cost of the product will increase. In this case, not only has the cost of mining hardware increased, but so has the technology for it. 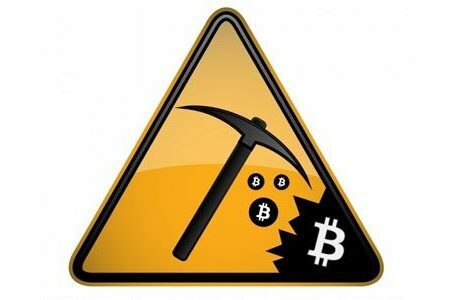 Getting new and improved hardware to mine with seems like a great idea, however, as the technology gets better, it gets more and more difficult for individual miners to make Bitcoin. The Bitcoin network’s hashrate increases roughly around every two weeks. Hashrate is the computing process that tries to solve a block based on its current difficulty. As more powerful hardware miners begin to mine Bitcoin, the difficulty of the total Bitcoin Network increases. As of Feb 07, 2014, the current difficulty of solving a block is 2,621,404,453. Mining Bitcoin difficulty has been increasing rapidly since the 5th of February, 2013 when it was only 3,275,465. This is due to the demand for bitcoin and fact that newer and improved hardware increases the hashrate which in turn increases the difficulty of the network to find and solve new blocks. This might be great for those who get their hands on hashing powerhouse hardware early on, but what about the little miners? This is why to counteract the technology; the network increases the difficulty of finding new blocks in order to satisfy the protocol which determines that every new block takes around 10 minutes to solve. It’s wonderful that new technology is bringing about faster hashing power; however, it also causes the network to increase difficulty to mine for bitcoins. Technology seems to be a double edged sword here. The innovation in technology might not appeal to all types of people. Those who worry about the environment might not be ecstatic with all the advancements in technology that Bitcoin is bringing about. The more powerful the hardware becomes the more electric power supply it will require. This could have negative effects on the atmosphere. In fact, a couple of Litecoin (alternative digital currency) users who were concerned with the environment have donated $10,000 to Madagascar so that the people can grow plenty of trees. This was done as an effort to minimize the negative effects of mining. Besides network difficulty and increase in hashrate; companies who make ASIC, the latest mining hardware, are in competition to come up with faster technology. Why? Because miners are demanding it; they want to get bitcoins quicker and more efficiently. This is very similar to the California Gold Rush where companies who sold tools and equipment for mining were making the most profit due to the demand for digging gold and the dream to strike it rich. ASIC hardware companies are similar in that at the end of the day, even though they are mining for coins themselves, they profit from the hardware they sell as well. At one point, KnCminer, a popular company which sells ASIC hardware, was able to make $600,000 in less than five minutes. In fact, they made $8 million within 24 hours by selling their brand new ASIC hardware, Neptune, which isn’t even due to start shipping until Q2 of 2014. However, not all mining developers are successful in this “survival of the fastest” game. HashFast, a mining developer, is being sued because the company was unable to deliver its hardware to its customers on time. CoinTerra is another mining company in hot waters which has just reportedly begun shipping their TerraMiner IV just now when it was supposed to start shipping back in October of 2013. Furthermore, even more recently another mining hardware company, ButterFly Labs, is being sued for falling short on their promises to their customers. It seems here that either these companies did false advertisement, or they just didn’t have the capacity to rapidly build the hardware to ship quickly. Either way this definitely seems to be a huge problem and the one’s to suffer the consequences are the miners. Besides some developers not sticking to their promises, a side effect of stronger technology is that it requires more power to run it. That means you have to make sure your apartment or house can handle the mining equipment. Mining Bitcoin began from CPUs and quickly built up to ASIC due to the rapid demand from Bitcoin miners for more power. Thus, some companies took it upon themselves to accommodate. Central processing unit, or CPU is basically the brains of a computer that comes in the form of a chip. When mining Bitcoin started, this was what was mainly being used. After this came the GPU, or the graphics processing unit which was a better alternative to the CPUs since it provided better processing power. Technology advanced further with FPGAs, otherwise known as field programmable gate arrays. With these, mining for coins became more efficient; however they still left the bitcoin miners hungry for more power. ASICs, the latest technology in mining hardware, are fast, efficient, and come in variety of different sizes and speeds. The current available ASIC hashing chips are 28nm. It’s probably worth mentioning that it was KnCminer who broke the barrier of hashing speeds with their first 28nm ASIC miner in 2013. Hungry for yet even more, we are rapidly moving towards 20nm in the coming months with KnCminer’s Neptune hardware. In order to mine for Bitcoins, one needs to strategize carefully. Between October to the middle of November in 2013, the price of Bitcoin skyrocketed due to the demand, increased volatility and the difficulty to mine. This could be a reward for miners if prices keep increasing in the future. However, what about the power consumption? You can mine out of your apartment or your house for now, but what happens when the next hardware requires too much energy for your house to handle? Wouldn’t this make mining Bitcoin exclusive, where only few will be able to mine efficiently and competitively ? Is this really what Bitcoin was intended for? We leave that up to you to answer. But, like it or not, survival of the fastest has just become a reality in the mining Bitcoin world. Full a good game this game is very simple play.